A few weeks ago I brought you my adventures at HUGE Theater, your home for comedy in Uptown. Today I bring you a report from Strike Theater, your home for comedy in Northeast Minneapolis, a neighborhood closer to (my) home and easier to get to and park in (unless it happens to be Art-A-Whirl, then it's almost as miserable as Uptown). Strike has been open for a few years as a Fringe venue but just opened as a full-time comedy venue last fall. 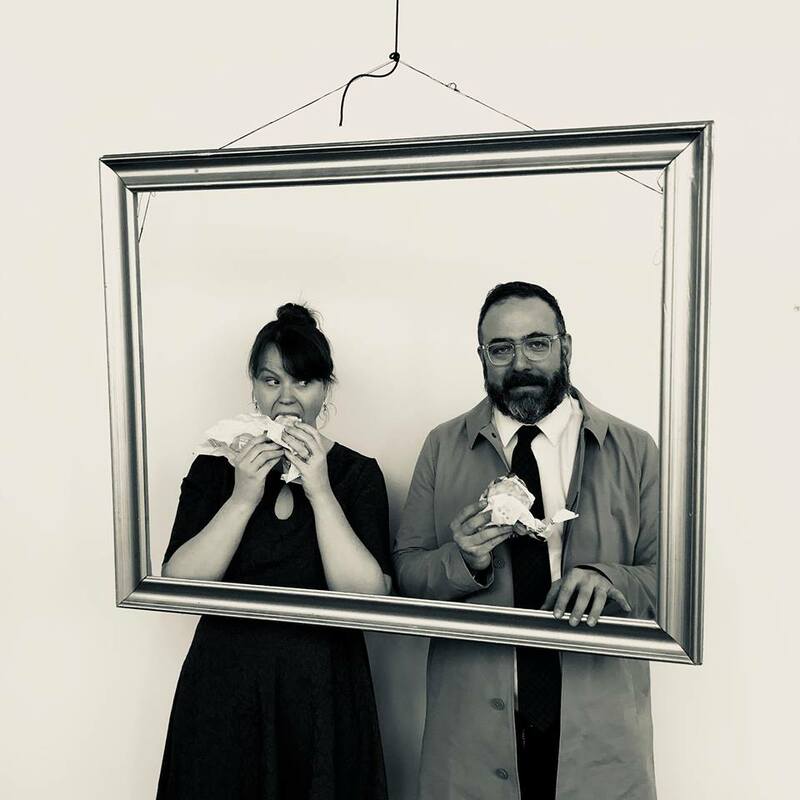 Founded by Allison Broeren, Mike Fotis, and Joe Bozic (whom you might know from the Minnesota Fringe Festival), they are "dedicated to Twin Cities sketch comedy, storytelling, and spoken word," and they offer an array of comedy performances and classes. Last night I attended the final performance (sorry) of Kind of Funny But Also A Little Sad, but check out their show calendar and class schedule for what's next at Strike. 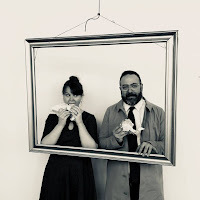 Kind of Funny But Also A Little Sad is a series of sketches created and performed by Rita Boersma and Mike Fotis, two of my favorite improvisers, directed by Heather Meyer, who's pretty funny herself and gets to take part in the show from the tech booth. The sketches have titles that make them seem like movie spoofs ("Twelve Angry Jurors," "9 to 5: The Sketch," and "Annie Hall") but actually are not. Or maybe they start out that way, and then they morph into something a little more existential. Don't get me wrong, there's still plenty of goofy silly fun going on, but they do touch on more serious issues like making scary life choices, fear of death, and the intricacies of friendship, although in a funny way. The show is as described, funny and a little sad, and a repeated use of the Feetwood Mac song "Landslide" is a good way to set that tone of melancholy. Kind of Funny But Also A Little Sad may have closed, but check out what else is going on at Strike, and like their Facebook page for announcements of upcoming shows and workshops.